I sometimes think I don’t want fries, but then I smell them and I get a sudden craving. 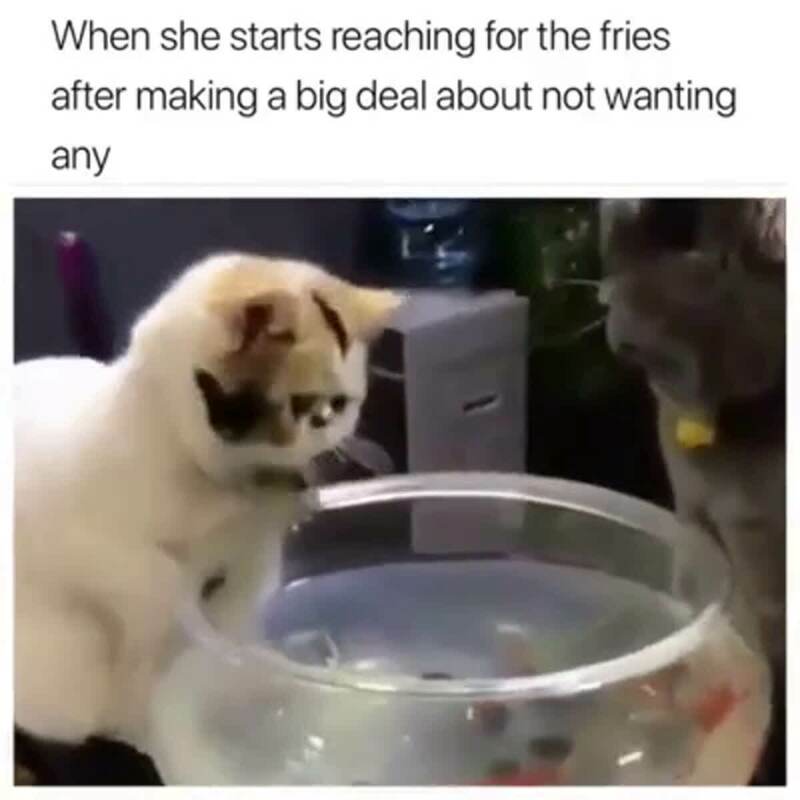 I have not had fries in a long time though. Staying off carbs and sugar for the foreseeable future. Yes, my life is sad. I want my brownies. On the plus side I’ve learned to cook and bake stuff from scratch AND a pair of jeans I haven’t been able to fit into for a long time not only fit me now, but do not give me a muffin top. So hang in there, buddy, it’s all worth it. Ohhh well done you! So happy for you and jealous at the same time. I only dropped like 14lbs, but had a relapse last weekend so now I’m back to square one. 55 pounds here so far since January. Just cut sugar in my coffee, and smaller meals with more walking. Different things work for different people, but I am glad to see you are getting results mate.